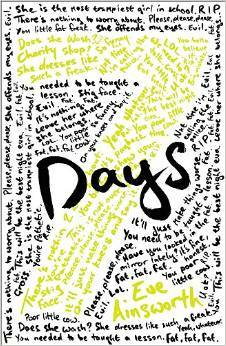 Sweet Sixteener Lee Gjertsen Malone recently spoke to Fearless Fifteener Eve Ainsworth about her YA realistic contemporary debut novel, 7 DAYS (February 5, 2015 from Scholastic Press). Eve Ainsworth always dreamed of being a writer and spent most of her childhood telling stories to herself in her back garden (leading her neighbors to decide she was ‘eccentric’). 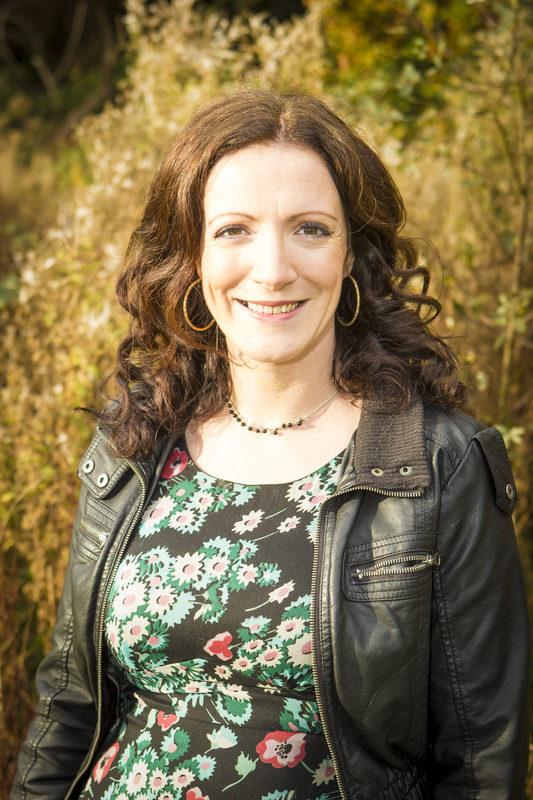 She now works in a large secondary school, supporting teenagers with their emotional and behavioral issues, whilst also concentrating on her writing. Above everything else she has never given up on her writing dream, despite being bitten by the self-doubt bug more times than can be healthy. Eve has had competition success with her short stories, most recently in Prima and Writer’s Forum. A short story has also been published in The Weekly News. Her previous Young Adult novel, THE ART OF KISSING FROGS, was shortlisted for the Greenhouse Funny Prize (June 2012). Eve lives in West Sussex, England with her husband and two crazy children. Find Eve on her website, Facebook, Twitter, Curtis Brown, Authors Allsorts, and Goodreads. 7 DAYS is available for purchase at Amazon and Powell’s. Lee: When and how did you know you wanted to be a writer? Eve: I’ve always wanted to be a writer. As a young child, I would make up stories in my back garden and recite them to the small animals and birds. I got older and started to write them down. As a ten-year-old, I remember being so excited to be given an old typewriter – on which I wrote my first children’s story, Muddles the Mouse. I sent this to a publisher and received a lovely encouraging rejection. From there I never really stopped and constantly had scraps of ideas or half-started novels stuffed under my bed. Lee: Which of the two main characters in your book do you identify with the most, and why? Eve: I identify most with Jess. I see a lot of myself in her. She lacks so much confidence, and doesn’t feel good in her own skin. This was very much how I was, especially as a teen. Jess never seeks revenge or is particularly bitter towards those that hurt her, in fact she is a lot stronger than she realizes. She is loyal, loving and good-humoured. She is someone we could all aspire to be. Lee: What was your revision process for this book? 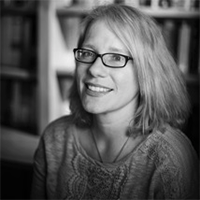 Eve: I wrote the book reasonably quickly – within six months – and I was very lucky that no major structural edits were required. My editor and I worked through the text, pulling it tighter and building tension in certain areas. It had a few rounds of copy-editing before a final proof read. I think this booked flowed quite well for me because it was an idea I had in my mind for a while, once I had the characters on paper – I couldn’t stop. I had to get their stories out there. Lee: Imagine the perfect reader for this book. What would he or she be like? Eve: The perfect reader will be someone who wants to understand ‘both sides’ of the story – they will be emphatic and open-minded. Even better, they will want to talk about some of the issues raised. If we get more people talking about bullying in a non-judgemental way, I will be a very happy girl. Would you prefer to live through a robot revolution or a zombie apocalypse? Washing dishes in a café. I was totally rubbish and managed to smash an entire tray of cups in my first hour. What music, if any, do you like to write by? I alternate. Sometimes I write in silence. Sometimes I listen to soothing classical and if I need some energy I stick The Jam on. If I hit a slump, Radiohead or Muse is played…. What piece of writing advice have you heard that you’ve found most valuable? Don’t give up. Keep ploughing on. Whether it’s rejection, confidence wobbles, or a book that you are struggling to write – make yourself get through it. Because you will. Lee Gjertsen Malone is a Massachusetts transplant, via Long Island, Brooklyn, and Ithaca, NY. As a journalist she’s written about everything from wedding planning to the banking crisis to how to build your own homemade camera satellite. Her interests include amateur cheesemaking, traveling, associating with animals, shushing people in movie theaters, kickboxing, and blinking very rapidly for no reason. She lives in Cambridge, Mass. with her husband, daughter, and a rotating cast of pets. Her debut middle grade novel, THE LAST BOY AT ST. EDITH’S (Aladdin/Simon & Schuster, Spring 2016), is about the only boy at an all-girl’s school who attempts to get himself expelled through a series of pranks.